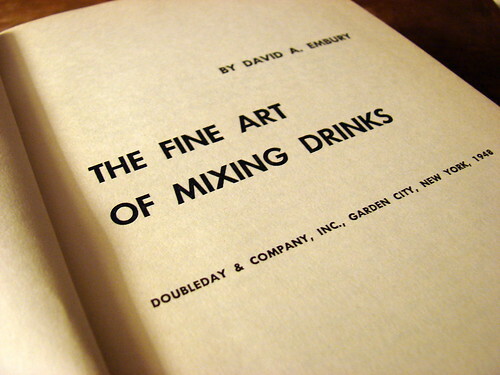 The 1948 first edition of David A. Embury’s The Fine Art of Mixing Drinks. This thing usually sells for upwards of $150-200, but Jen got it for a steal, from an online vendor who apparently didn’t know what he/she had. Although the dust jacket is missing, the condition of the book itself is excellent, with just a few scratches on the cover and a stamp on the edge of the book. But no tears, dogears, or obvious wear on the pages. Bargain!